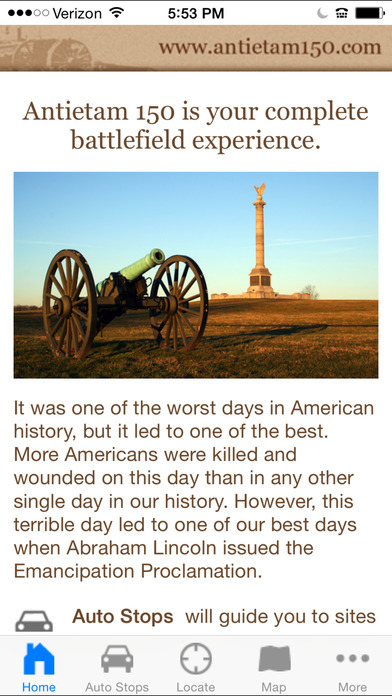 Tour the Civil War with confidence and our complete line of GPS-enabled battlefield apps including “Gettysburg 150”, “Virginia Civil War 1”, and “Virginia Civil War 2”. Each app makes it easy to learn about Civil War battlefields and find locations with your smartphone or tablet’s GPS technology. For less than a cup of coffee, you can navigate the terrain to make your battlefield visits come alive. If you have never tried one of our apps, download the FREE! 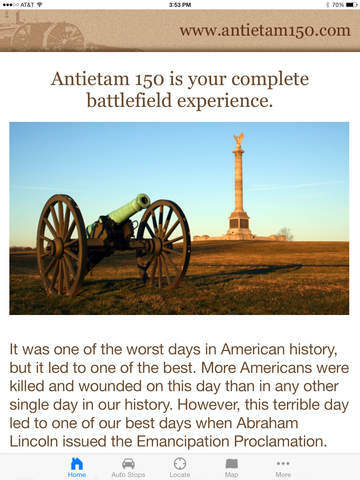 “Antietam 150” app to see how easy it is! This iPhone and iPad app will help you plan your trip and guide you to all the important sites you want to see. There are 100 sites to choose from and the app will guide you directly to them with your iPhone's GPS technology. Once there, you can learn more about the events that occurred in the exact spot you are standing. You can also record your own battlefield locations and submit them to Antietam150.com for possible inclusion in future versions of the app. 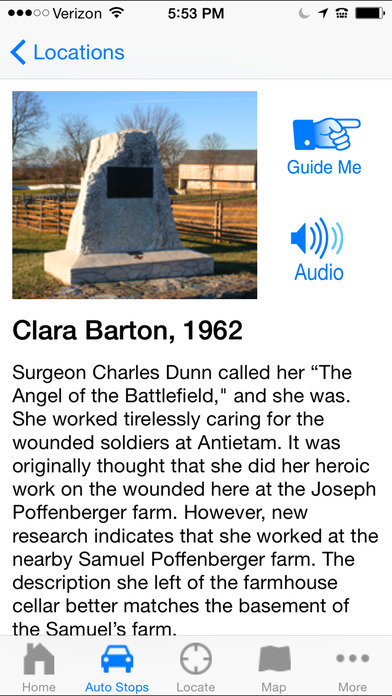 Make your Antietam visit come alive with the convenience of the iPhone app or the large maps of the iPad app. * Become an amateur historian by creating and submitting your own sites with the app's innovative "Add" feature. Make sure to try our complete line of GPS-enabled battlefield apps including “Gettysburg 150”, “Virginia Civil War 1”, and “Virginia Civil War 2”.